Often called “the best kept secret in West Georgia”, the kitchen at Historic Banning Mills strives to bring the finest quality ingredients in all of our chef-prepared meals, using local and responsibly sourced foods whenever possible. We combine traditional country fare with high-end flair to create menus that cater to all tastes! From group meals to special occasion gatherings, our signature gourmet selections will be exactly what you expect. Our office and kitchen staff are available to offer custom tailored menus, along with “chef’s choice” selections to accommodate nearly any budget. “I’m very excited about our Fall/Winter Gourmet menu this year. We were able to introduce some fantastic new dishes to our traditional selections. 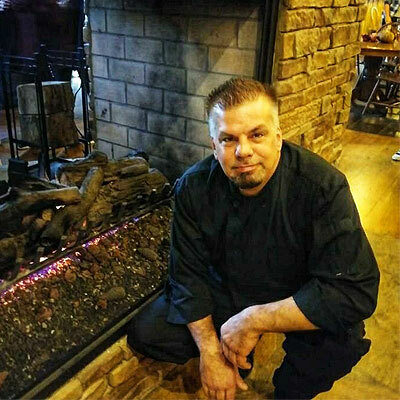 I’m looking into bringing more wild game options to the table for our more adventurous guests!” – Brian J. Ezell, Executive Chef, Historic Banning Mills. 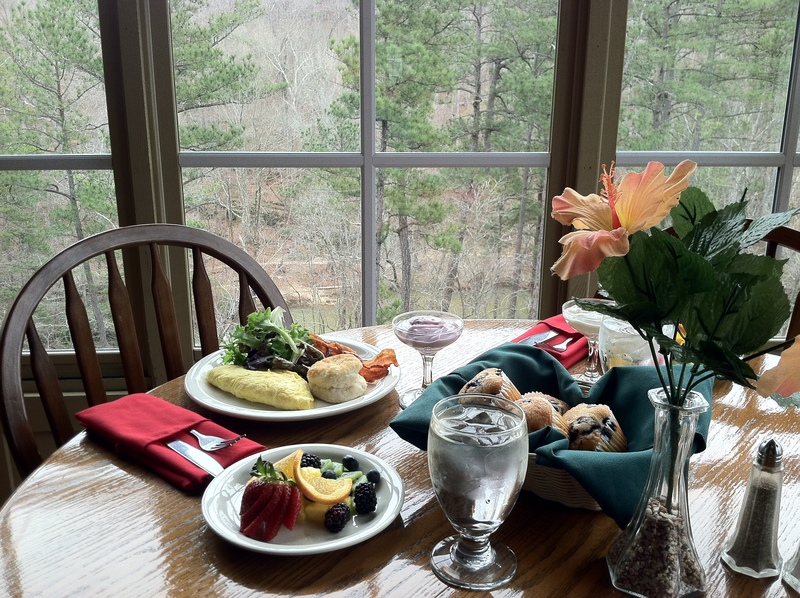 All overnight guests who stay on the Inn side of Historic Banning Mills will receive a full fresh cooked breakfast each morning of their stay. Country breakfasts include fresh fruit, coffee, juice, and teas. We serve 2 breakfast meats (based on availability) an additional breakfast side such as hash browns, sausage gravy or grits, homemade biscuits, and eggs. Yogurt and cereal are available as lighter options as well. Breakfast is served in the Main Lodge dining area from 9-10 AM. Historic Banning Mills does not have a walk-in restaurant but does offer lunch and dinner options. You can order one of our picnic style baskets, or, if a group meal is already being prepared, you can “tag on” to the group lunch or dinner (just ask the front desk about either option). Let our staff know AHEAD of time that you would like to dine with us. Looking for a more romantic option? We can serve a candlelit dinner on our Tree Terrace that overlooks Snake Creek Gorge. We have several entrée selections, including vegetarian options. Once more, we need to know ahead of time so our chef can prepare your dinner. Selections are required 24 hours in advance. If selections are not given in the allotted time, you will receive Chef’s Choice. Any dietary needs or allergies should be told to staff so that we can accommodate your needs. If you would prefer to dine at area restaurants, we can provide recommendations! Both Carrollton and Newnan are nearby and have several dining options for you to choose from. Want to try out the local restaurants close by? Just ask us and we will be happy to give recommendations. 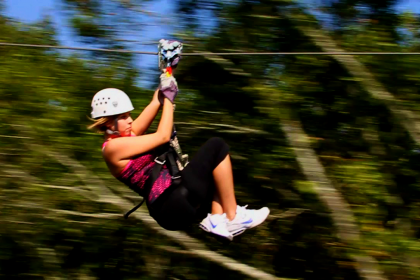 Carrollton and Newnan are both close by and have several establishments to choose from. Our Lodge dining room will seat 10 – 100 people and our Chef can prepare virtually anything from country to gourmet. Our food and beverage staff can accommodate even the most discriminating tastes. Please remember that the pricing for the full-size cabins does not include breakfast. Not to worry though. If you would like to reserve a meal with us, just call the front desk and we can make reservations for you! Our Restaurant is available by reservation only. 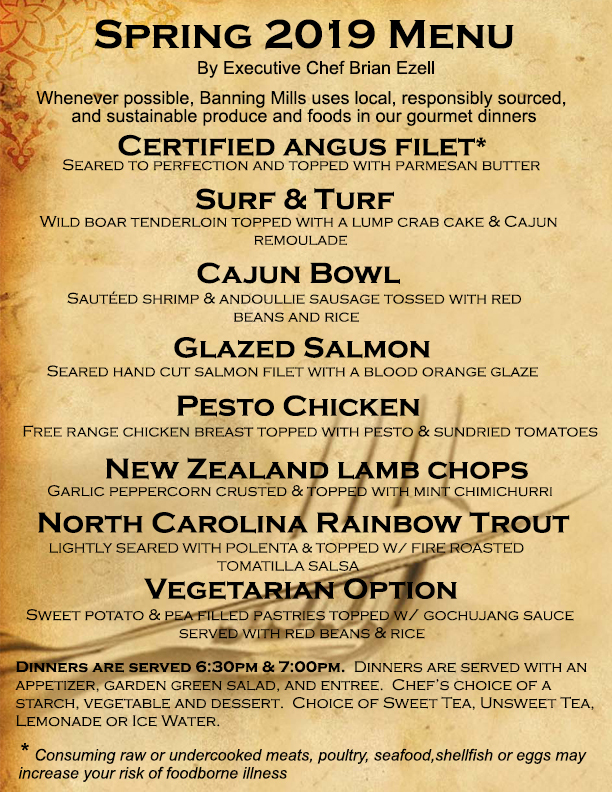 Please call 770-834-9149 to book reservation.